If you don't know if you want to marry me or not (and you probably shouldn't know that yet), date me. If you don't know if you want to date me exclusively or not, just ask me on a simple date. If you don't know if you want to ask me on a date, find a convenient way to spend time with me as a friend. Until you specify that you want to ask me on a date, I will just assume you simply value my friendship. Until you specify that you want to date me exclusively or more seriously, I will just assume that you enjoy going on dates to get to know me, and I'll probably assume you're also going on dates with other people. Until you specify that you want to marry me, well, I'll assume we're still in the process of really getting to know each other and possibly falling in love. I'm changing my stance from what I wrote right here in a previous edition, when it comes to initiating. I previously said that it's your job to initiate and I won't do your job for you. But that doesn't feel completely right. I'll try to initiate as well. And I'll try to be as clear as I'm asking you to be. If I think I'd like to date you, I'll try to make it obvious enough that you can take it from there. And I'll be an equal participant in the relationship. I just need you to communicate with me honestly. I'll be honest too. A word of warning. I have some opinions that are different from a lot of people's opinions. If you want to date me, you'd have to be willing to listen and understand, and hopefully support, my positions on things such as almost-vegetarianism, health-care, education, liberty, media, and so forth. Also, we will of course need to be on the same page in spiritual matters. 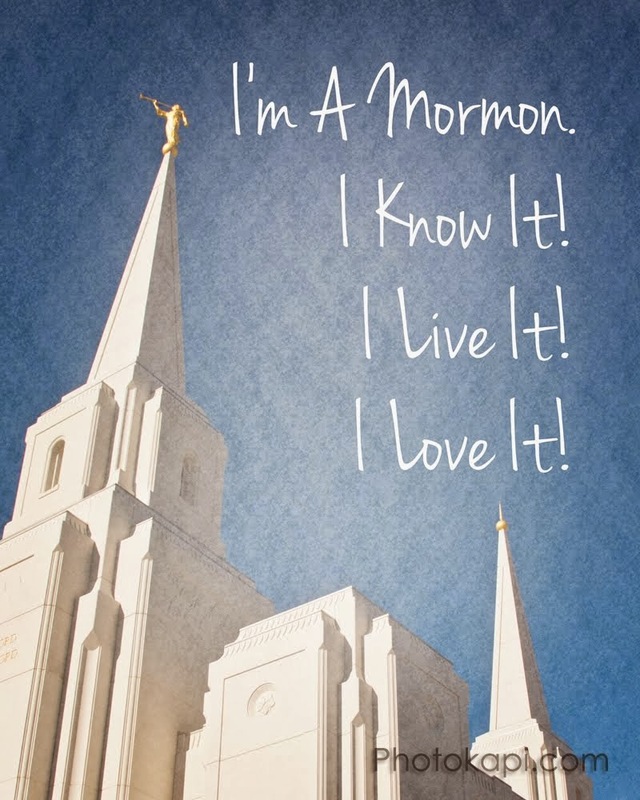 Can I share a quote from Elder Richard G. Scott? When you find you are developing an interest in a young woman, show her that you are an exceptional person that she would find interesting to know better. Take her to places that are worthwhile. Show some ingenuity. If you want to have a wonderful wife, you need to have her see you as a wonderful man and prospective husband. I just want to add that I very much looking forward to being married someday. I know it will take work, sacrifice, and love, and I'm willing to put that in. But I'm not going to get married just for the sake of getting married. I will marry someone that I love, someone I am happy around, someone with whom I am "equally yoked," someone with whom I can continually grow, someone who values me and my individuality, someone who will sing with me, someone who will be a great father, and someone that I genuinely feel is right for me to marry, according to the answers I receive in prayer. If all this sounds scary or intimidating, find your confidence! I want to date those who can find the courage to do hard or intimidating things. I'm not looking for someone perfect, I'm looking for someone who knows how to grow. I'm really looking forward to it, more than I can express. And I will try to be as awesome as I can, because if you're willing to be your best, than you deserve that.